Chinese Chicken Spring Rolls are packed with refreshing, crisp veggies, mandarin oranges, baked chicken and an incredibly delicious almond dipping sauce. This easy and healthy recipe is a twist on Chinese chicken salad and is perfect as an appetizer, lunch or light dinner. Instructional video included. 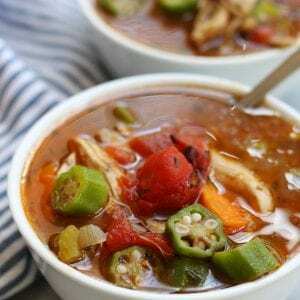 My all time favorite kind of meal is one that has a ton of flavor and I feel like a million bucks after eating it. Spring rolls definitely fall in that category. I mean honestly, who doesn’t LOVE spring rolls? Every time I eat them, not only do I feel satisfied but I also don’t feel weighed down like I can with heavier meals. Here is the thing though, I think a lot of people shy away from making them because they seem hard to make. The good news is, they really are easy to make. There are just a few tricks of the trade. 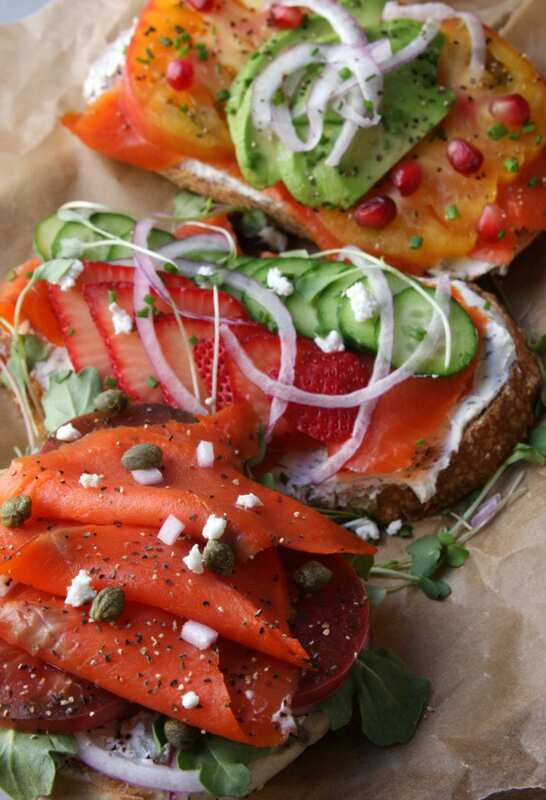 Depending on the amount of veggies used, cutting the veggies is the hardest part. 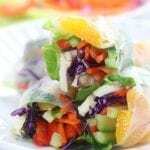 This Chinese Chicken Spring Rolls recipe came from my love of my Lazy Day Chinese Chicken Salad. It has many of the same ingredients with just a touch of Thai inspiration in the Almond Dipping Sauce. The first time I made these rolls I wasn’t happy with how I prepared them. I told my husband since I messed up, we will be eating them again for dinner the next day. He literally said, “Good, I hope you mess up 12 more times” with a huge cheshire cat grin. That’s my husband! Needless to say this Chinese Chicken Spring Rolls recipe has become one of our favorites. Bake the chicken ahead of time in a 350℉ for approximately 30-35 mins or until internal temperature reaches 165℉. 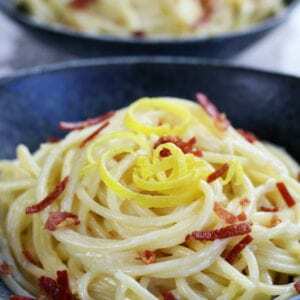 I usually will drizzle with a few tbsp of olive or avocado oil and sprinkle with salt. Once baked let cool and refrigerate until ready to use. Preparing these springs rolls without rice noodles helps to keep the carbohydrates and calories lower making this a perfect meal when trying to loose weight. Each roll is approximately 100 calories give or take a few calories depending on the amount of dipping sauce used. 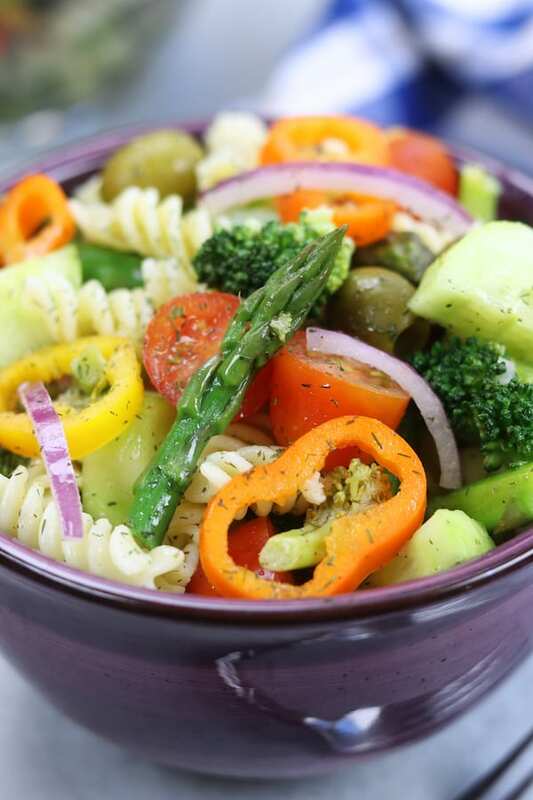 Plus one additional perk, more veggies = higher nutritional density. 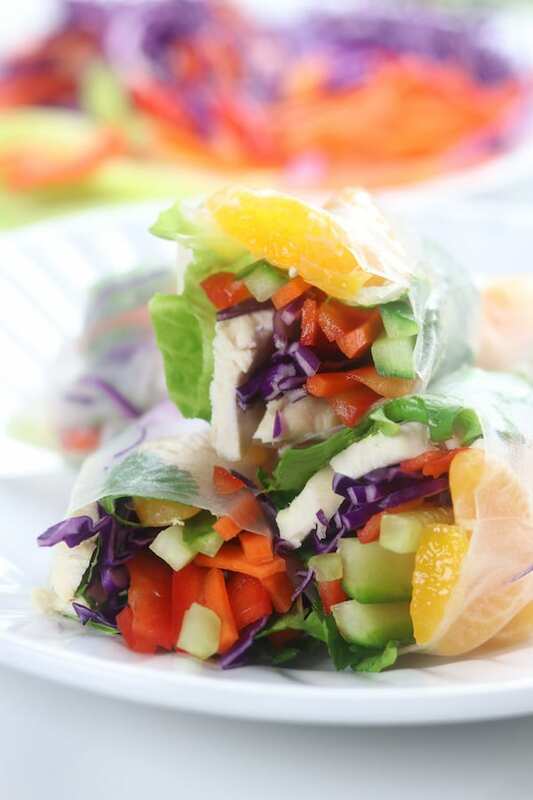 These Spring Rolls are a copycat of my Lazy Day Chinese Chicken Salad. Because of that I used cilantro instead of mint and almond butter instead of peanut butter. 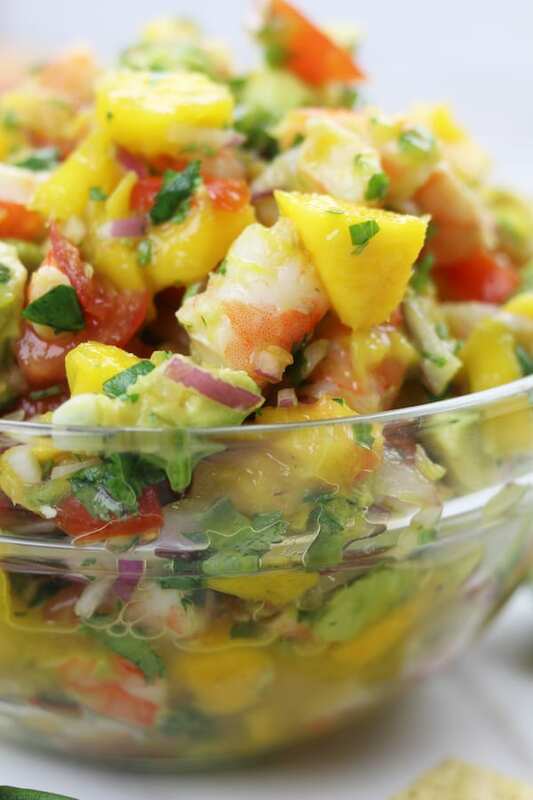 Other possible fillings could be to use shrimp instead of chicken, avocado, alfalfa sprouts or different types of sprouts, jicama and different types of lettuces like arugula or red leaf lettuce. 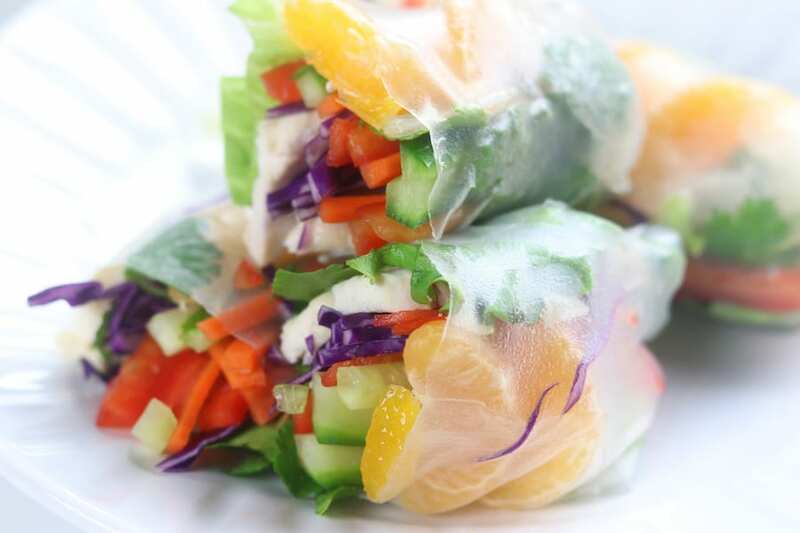 Chinese Chicken Spring Rolls are packed with refreshing, crisp veggies, mandarin oranges, baked chicken and an incredibly delicious almond dipping sauce. 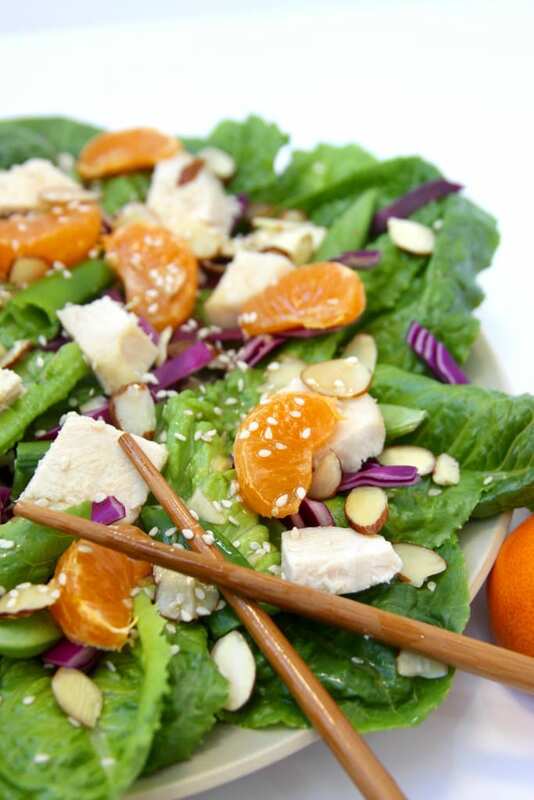 This easy and healthy recipe is a twist on Chinese chicken salad and is perfect as an appetizer, lunch or light dinner. In a medium sized mixing bowl combine all ingredients for dipping sauce and mix well. 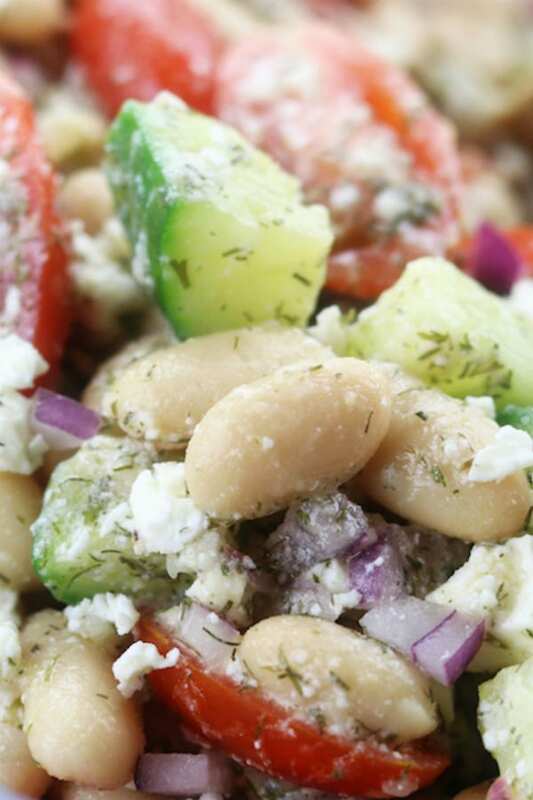 Set aside in the refrigerator. Prepare chicken, cut and refrigerate until needed. Prepare veggies and oranges. Place cooked rice paper onto plate. For the prettiest presentation add in this order: 4 mandarin orange slices, 2-3 pieces of lettuce, a small amount of cilantro, 3-4 chicken slices, 4-5 cabbage shreds, 4-5 cucumbers strips, 4-5 red bell pepper strips and 4-5 carrot strips. 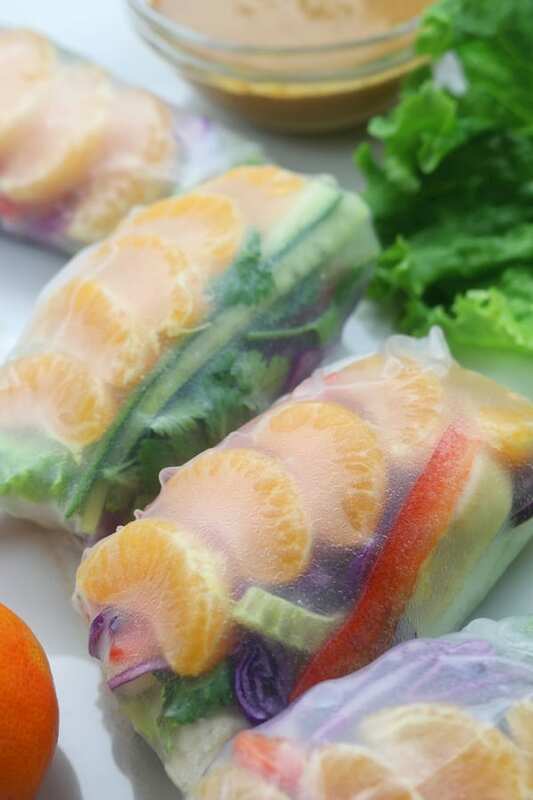 Roll the bottom of rice paper over veggies, fold in sides and then finish rolling completely. 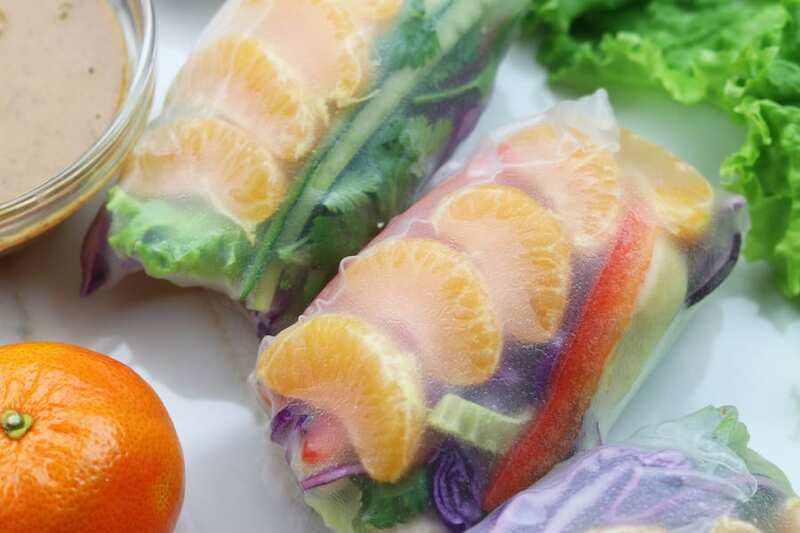 Keep covered in refrigerator until ready to serve with parchment paper between layers and on top of spring roll to prevent sticking. Tried the Chinese chicken spring roll, it is a wonderful party dish, all my guest enjoyed it. That makes me so happy! Thank you so much for coming back to share. I hope you have a wonderful day!